St Martin de Belleville is a charming, traditional Savoyarde village and great base for exploring the Three Valleys. St Martin combines a sixteenth century Baroque-style church with cutting edge chalet architecture. This juxtaposition continues in terms of staying in an unspoilt village whilst skiing in the largest linked ski area in the world! This is why it’s often referred to as the hidden jewel of the alps. 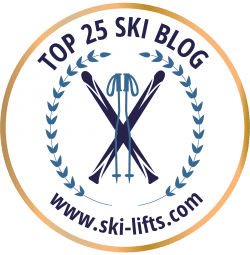 Sitting at 1450m means that it’s high enough to ensure good snow for a long season but also offers shorter transfers than the higher resorts in Courchevel and further up the valley in Val Thorens. And with a fast 8 person gondola and 6 pac chair up to the top of Tougnete you can get over to Meribel or Les Menuires within 30 minutes. Pretty perfect. Looking for a catered chalet in St Martin de Belleville? Take a look at the hand-picked option below. Chalet des Anges is a brand new, modern designer chalet with a double-height living and dining area with a beautiful open fireplace. It enjoys incredible location with just a three minute walk away from the main St Martin de Belleville gondola (St Martin 1). The chalet has 5 en-suite bedrooms with balconies and top-end mattresses, a ski room and that all important wifi. The chalet is catered and a professional chef cooks up a full breakfast, freshly made afternoon cakes and four course dinner with wine. Our owner Richard Patey has personally stayed there (that’s his MacBook) and can vouch that it’s super high-end and great value. If you’re interested in staying in Chalet des Anges in March / April 2014 please ENQUIRE HERE and we’ll get back to you straight away. This page is part of our Top Ski Resorts Hub.